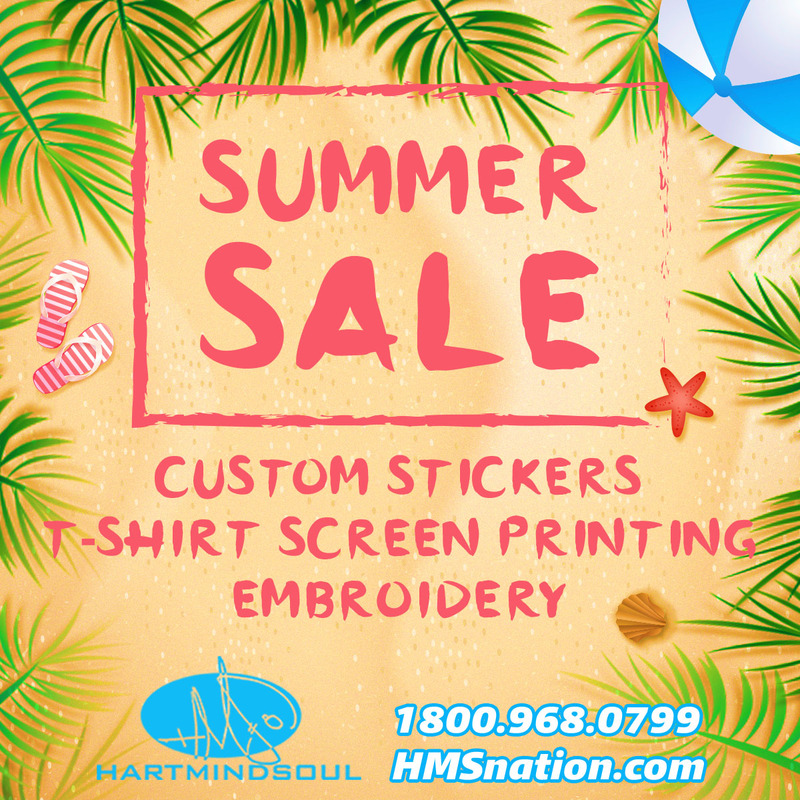 Beat the heat this summer in Portland, Oregon and stay cool with online summer screen printing and custom sticker specials from Hart (heart) Mind Soul and the HMS nation. From cool decals and custom label solutions for businesses or schools, to summer fashion and styles like the women’s racer back tank top and DryFit shirt options, it is easy to see why we are the industry leader. Request more information on the Hart Heart Mind Soul Summer Sale! How do you cool off for Summer? Click on the links to learn more about performance Polo shirts and moisture wicking apparel options. Have employees that are working in the hot kitchen? Standing outdoors in the hot Summer sun for an event? Just trying to look cool and relax in comfort and style? Hart Mind Soul Summer Specials are the place to start! Backed by our ongoing commitment to excellence and the HMS nation, Five (5) Star product guarantee, Hart (Heart) Mind Soul is hands down your BEST choice for custom screen printing, bumper stickers, and new fashions in Portland this summer. best stickers HMS, custom decals labels stickers Portland, DryFit moisture wicking polo shirts, Hart Heart Mind Soul Summer Sale, hms nation. Bookmark.